As the new CEO of Accel Rehabilitation Hospital of Plano, Texas, Marla Wilson will bring post-acute healthcare and business leadership to the community. 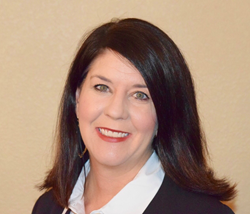 Accel Rehabilitation Hospital of Plano, Texas Welcomes new CEO Marla Wilson, OTR, MBA, a leading provider of post-acute and rehabilitative care serving the Dallas-Fort Worth metropolitan area, announces the appointment of Marla Wilson, OTR, MBA, to the position of chief executive officer for the facility, effective September 10, 2018. Ms. Wilson comes to Accel Rehabilitation Hospital of Plano with over 15 years of post-acute healthcare and business leadership experience in the Texas rehabilitative and patient care marketplace. Her commitment to helping individuals improve their health and lives led her to specialize in first helping patients with brain injury, then inpatient physical rehabilitation before proceeding to a career in executive management. Ms. Wilson, her husband and four children live in Lewisville, and are active in the community. Accel Rehabilitation Hospital of Plano is a 45,000 square-foot facility offering cutting-edge inpatient rehabilitation and post-acute care. The hospital serves the larger Dallas-Fort Worth community and is conveniently located close to eleven major medical facilities and hospitals, including Texas Health Presbyterian Hospital of Plano, Baylor Medical Center of Plano and Carrollton, and more. The facility offers outpatient wound care, home evaluation and specialized inpatient rehabilitation services. StoneGate Senior Living is an award-winning, full-spectrum senior care and housing company with 46 properties across Texas, Oklahoma and Colorado. Recently ranked as the nation’s 31st largest transitional and long-term care company by Provider magazine, StoneGate is a fully-integrated, post-acute health care company with service lines and business units that offer transitional care, long-term care, assisted living, memory care, rehabilitation, wellness, pharmacy, and care navigation services.